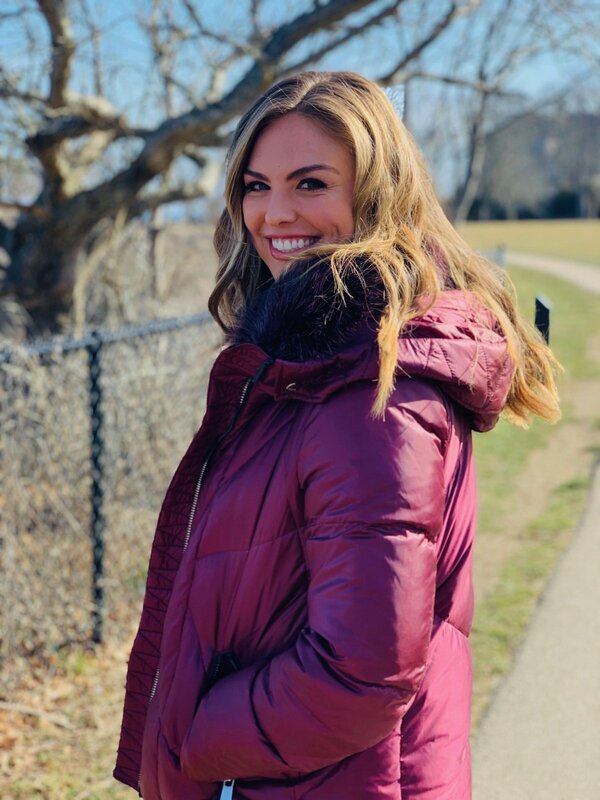 The Bachelorette star Hannah Brown has taken her group of bachelors to Boston, MA, and Newport, RI. "Alabama Hannah," a 24-year-old beauty queen from Tuscaloosa, was spotted filming for The Bachelorette in multiple locations in Boston and Newport this week. On Wednesday, The Bachelorette's executive producer Mike Fleiss tweeted a photo of Hannah on what appeared to be the Cliff Walk, Newport's iconic oceanside pathway that runs atop the cliff shoreline and features views of the ocean and many of the city's enormous historic mansions. And then on Thursday, Hannah was spotted and photographed by the press while on a one-on-date with Jed Wyatt, a 25-year-old musician from Nashville, TN, in Boston. According to Reality Steve spoiler blogger Steve Carbone -- who shared photos on Twitter from fans who spotted Hannah and Jed at Faneuil Hall and Quincy Market -- the pair were also seen heading over to the Cheers Bar together. The pair were all smiles, walking the city streets hand in hand in the pictures. Later that day, Hannah apparently touched base at the Boston Celtics' Auerbach Center practice facility, where she shot hoops with Celtics basketball players Terry Rozier and Jaylen Brown. On Thursday, Fleiss also tweeted a photo of Hannah on the court with the two NBA players, writing, "Guess where #TheBachelorette is now... She shoots, she scores..."
Hannah reportedly visited the Black Pearl restaurant in Newport and stopped by the Carey Mansion next to the Salve Regina University campus that abuts the Cliff Walk on Thursday. A group date was also set to take place at Fort Adams State Park on Friday, according to the spoiler blogger, and another one-on-one date that will include a visit to the Jane Pickens Theater will follow n Saturday. Newport County residents who applied and were accepted to serve as extras of The Bachelorette told Newport's The Daily News newspaper that they had to report to Fort Adams on Friday from 1PM-6:30PM ET, and the Jane Pickens Theater and Event Center on Saturday from 8:30PM to midnight ET. Hannah's The Bachelorette edition began filming on March 16 in Los Angeles, CA. Hannah's group of bachelors for Season 15 were already announced earlier this month.